The Central Board of Direct Taxes (CBDT) has recently issued a notification which has made it mandatory for individuals earning an annual income above INR 10 lakhs to file their Income Tax Returns online, from the current Financial Year 2011-12 (Assessment Year 2012-13) onwards. 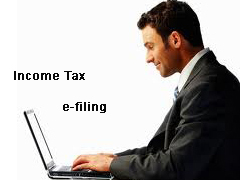 Filing income tax returns is something everyone fears & now filing it online many people may be wondering how to do that? 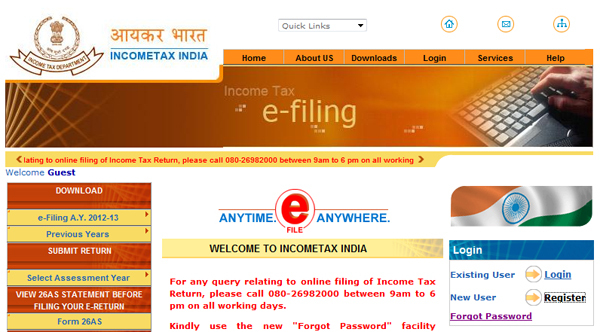 So we are herewith guide to help you for filing your I-T returns online, without leaving the comfort of your chair. The most important part of this exercise is to get Form 16, which is provided by your employer. It is a statement of your taxable salary, allowed deductions, and the tax that has been paid on your behalf. Step 1: Click on the Register link to create a new account. You will be asked to submit your PAN number which will act as your unique USER ID. 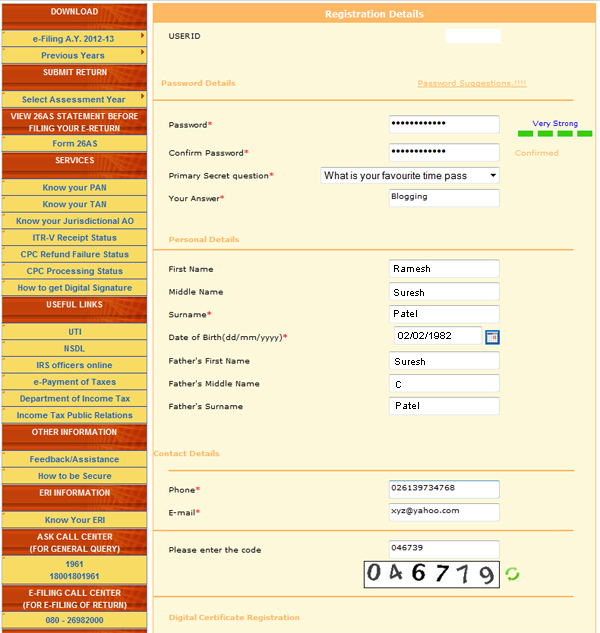 Step 2: Enter your personal details in the registration form, This details should match PAN card details. Once you submit your registration you will receive a confirmation mail in the inbox of the specified email address. Step 3: After verifying and logging into your new account, you need to view the Form 26AS statement and ensure that the Tax Deducted at Source (TDS) amount matches the one mentioned in your Form 16. If this amount does not match you need to contact form 16 issuer authority or your CA. Step 4: In the subsequent form, select Assessment Year 2012-13 from the drop-down box, enter your Date of Birth, and click Submit. 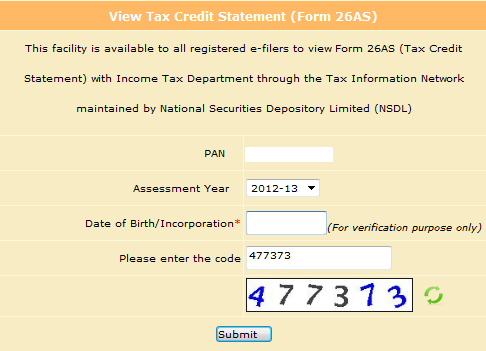 Step 5: Now, You need to download the I-T Return utility. To do so, select Individual, HUF from the e-Filing menu under the Download section at the top of the left hand side bar. 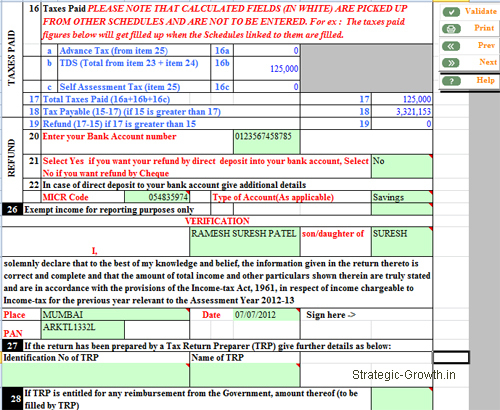 Use the table below to check which one of the ITR forms you are supposed to fill. Download Return preparation software – Excel utility. 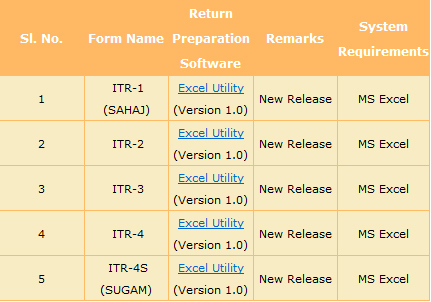 Step 6: Open the I-T Return Excel utility downloaded in the previous step. Make sure Macro is enabled. Keep your Form 16 ready, as most details are to be copied over from the same. Personal Information section is straightforward. Enter your name, address, birth date, PAN number. If you are not employed by the Indian government or Public Sector Undertaking (PSU), select the Others check box in the Employer Category. You can know your Income Tax Ward/ Circle value by going to Know Jurisdiction under the Services drop-down menu at the top as shown in figure below. 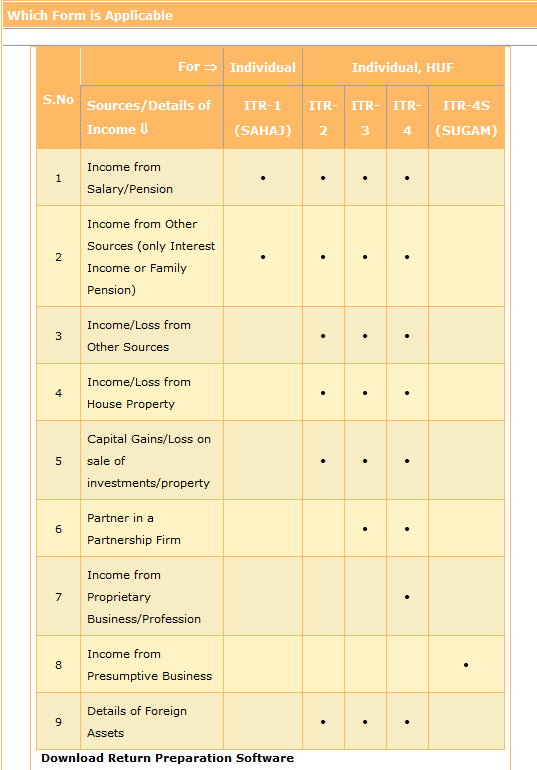 Step 7:- In income and deduction section filled up value in field 1 based on income indicated in your form 16. Also fill up details in field 5 deduction under 80C, 80 CCF etc as mentioned in your form 16. Step -8:- Open second sheet named as TDS. Filled up details of your employer name, TAN number & Tax deducted at source. Open third sheet Tax paid and verification section filled up verification details including your bank account number. Step -9:- Go back to first sheet and press “Calculate Tax” button once you press this button tax will be calculated automatically. Step -10:- Now we need to submit this XML report to income tax website. 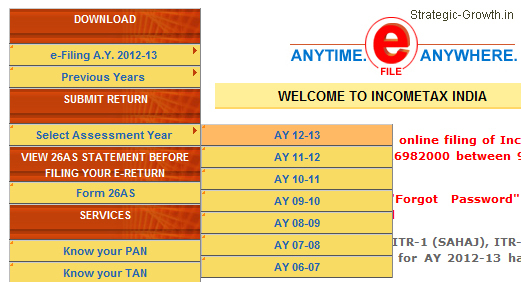 Go back to Income tax website and under submit return click on Select Assessment year AY 12-13 as shown in image below. 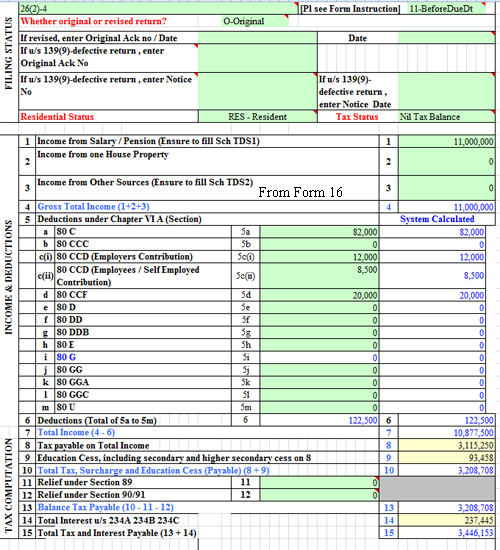 In the subsequent form, select ITR-1 from the drop-down box and click on Next. If you have digital signature you may use that, but it is not mandatory to use digital signature. If you use digital signature you need to submit digital signature for verification. If you use digital signature you need to send physical copy of return. Upload XML report. You will now be given a printout of your return known as ITR V form, which you need to print, sign, and submit to the address mentioned in the form itself (CPC, Bangalore). Please note that the submissions have to be sent through regular post only, within 120 days. In due course of time, you will receive an acknowledgement email from the I-T department. Step 11: Congratulations, you have successfully filed your I-T returns online. Do share your view / query related to this guide.Remember Last date of Filing return is 31st July.